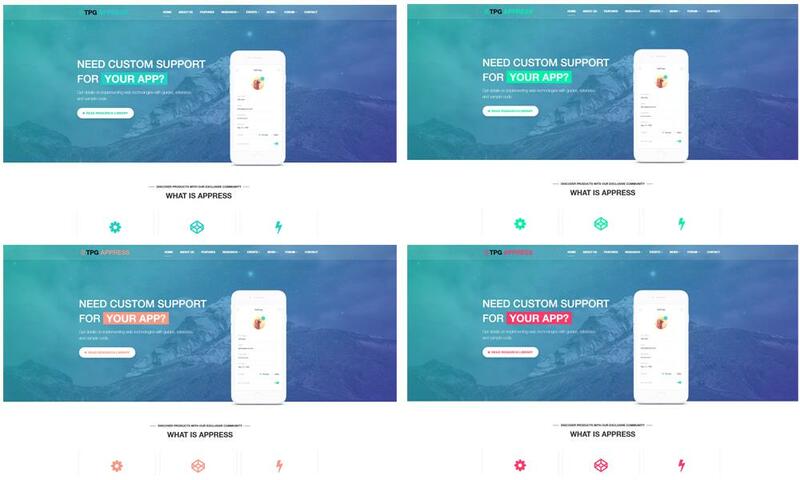 Best Free WordPress App theme builds with Genesis Framework, community forum supported by wpForo Forums, Responsive Layout, Easy to Customize! 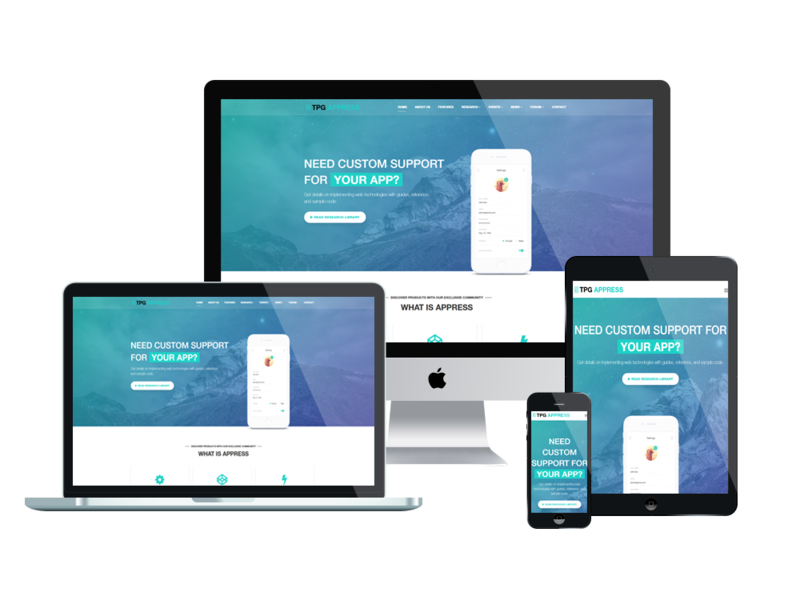 The WordPress App theme has been well-designed to suit the best with the purpose to advertise and give customers the best look of your business and products, so they can make a decision to purchase as soon as possible. 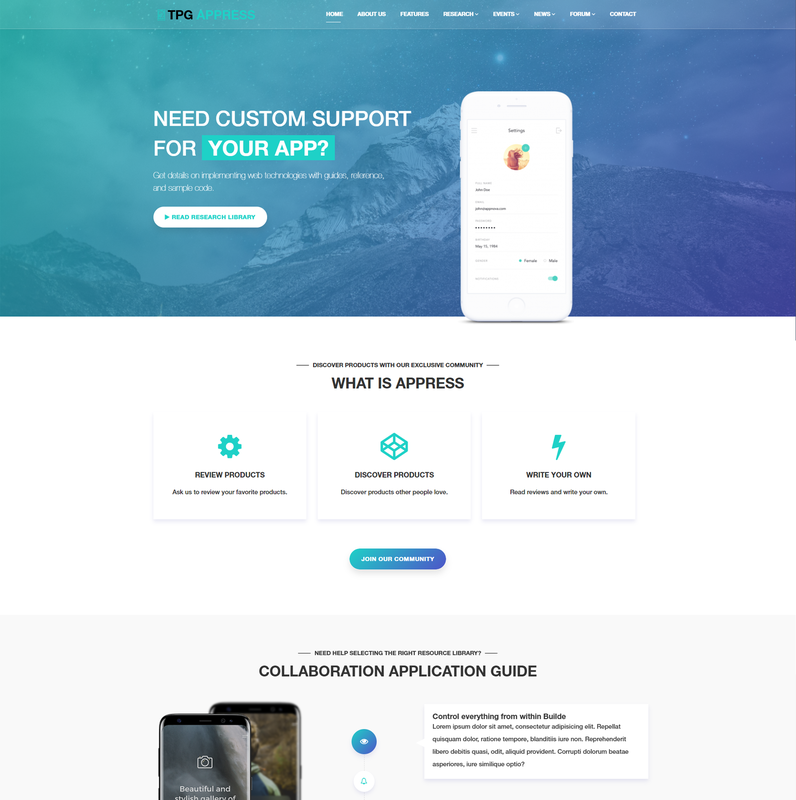 TPG Appress is a modern and elegant design WordPress App theme for app developers to showcase their apps, digital products as well as any other online services. TPG Appress completed by experienced and high-quality developers with the latest web technologies, grid structure and eye-catching content organization, so your site will look very attractive in the eyes of visitors. Besides, this theme also provides Forum and Event features supported by powerful WordPress plugins, which gives your site a high interaction. TPG Appress show its best performance not only on PC, but also on any kinds of mobile devices, even on the latest model, therefore, your site will be always impressive no matter what devices visitors use to access your site. Especially, this theme is totally customizable by a powerful admin panel, you can change anything you need to make the site more beautiful. Sounds amazing? Come and get it now!